The Winter 2011/2012 LEGO Hero Factory "4.0" series sets have names! I'm evidently late to the game on this one, but thanks to Chronos, Lord of Time for the tip, and credit to Mesonak on Eurobricks.com for the finds. These do appear to be legitimate, unlike the made-up "pirate" and "underwater" theme farces that circled the 'net many times. I do expect to see one more hero show up. Sounds good but I was really hoping they would get away from this and have a new group of Hero's. The sets certainly sound interesting, and I'm quite partial to the villains' names. I'm interested in seeing how the heroes are presented this go-around, with three of them being large and two being small. There's also the possible sixth hero; I suppose we can't really know any more than we do now until actual pictures surface. You are very welcome! Glad to be of assistance! We don't know that they will be "4.0" yet, maybe they'll have a new designation. when are you gonna make reviews of them. I think the water themes were popular because it was just likely. Think about it: 2.o = Fire. 3.0 = Jungle. Things like Water themes, Ice themes, desert themes, underground themes. These are usually the popular ideas. •Black Phantom is most likely the main villain, as his price, 18,37€ (I don't know how much that is in dollars) is higher than all the other villains. •Splitface seems to be like Scorpio was to Witch Doctor, the second-largest villain, with a price of 11,87€. •All other villains are 9,10€. •Three heroes, Breez, Furno, and Rocka, cost 11,87€, it seems they may be XL heroes! However, I hole it is just a mistake by the website, because I don't want two forms of Rocka XL. •The other 2 heroes (or 3, we'll just have to wait and see) are 9,10€, the same price as some of the villains. Because there are three 9,10€ villains, I suspect that Lego is setting it up so that each villain has a hero equally matched, with two heroes needed to take down Black Phantom. No offense JANG but this sounds a little fake. First of all if there would be pics then it would be real. We will wait til later in the year or the extra hero is just still a mystery. I agree sounds cool. I would like to see what they do about Rocka. looking forward to breez and evo. not so sure about furno. The villains have cool names. I wonder who the sixth hero is and what their color is. I hope purple! 1. Why won't LEGO slow down! Give us a little bit more time to MOC, and not rush out to the store to spend our money immediately! 2. I was hoping Evo would not return. 4. In every Line, there is a new upgrade, no matter how big or small. 1.0 to 2.0- entirely new building system. 2.0 to 3.0- more articulation. 3.0 to 4.0- who knows? Functions? 5. How about a new Hero team, but still 3.0? 6. 6 villains, six heroes, six other sets, and two vehicles would be nice. 7. This is I have a lot to say number seven. 8. Jang, please keep us updated... And this Mesonak Guy. 9. Chronos is new... If you are reading this, who are you? 10. Jang, is the hacking incident OK? No problems... right? HHmm... Most... bizarre. Never thought about toxic based, but i did think of lighting based. Well, ANYWAYS, I'm glad the 3 missing heroes are back, and hopefully Rocka will get a extra gold treatment! For anyone asking, pictures have not been released, just names. Even though most of the site is in German, it clearly says "picture not available at this time". @bob: They're not fake. They're on a german shop site. @Galactic Surveyor: That's because no pictures have been revealed yet. That's if there's another hero. Maybe it'll be another girl. I'm nobody really, just a guy who browses Lego forums, blogs, and news websites, looking for Lego news and cool MOCs, and I make plenty of MOCs myself. I do not have a Eurobricks or BZP account, if that is what you meant. I will probably get a MOCpage though, in the near future. Um... Why do you ask? Just wondering. If someone well known (like Jang in the LEGO world) references you, it is something that many will see, worth more than a comment. 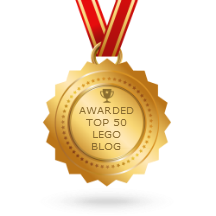 I am also on the LEGO forums. MOCpages are important, but you should only post stuff that has never been done before. Well, what would I know, I fail... YOu should talk to Jang, Youtube MOCers (i.e. Kylernuva135, Edictarts, etc., but they hate HF), or someone like that. Inspiration is important. Thank you for the advice! I am honored that JANG credited me; honestly just glad to be of assistance. About MOCpages, I think I do have some creative and original creations and ideas (if I do say so myself). I have not talked to any of those guys (the exception being JANG, although only a few times) but I have watched their videos and taken inspiration from their MOCs. Again thank you for the advice. 1. I agree completely, but the sets aren't out until around January, probably. 6. Also a good idea. 10. Yeah, what happened? Do you know who it is? Sorry everyone for the long comment! BTW, I just don't like Evo. It seems as if Breez, Surge, Rocka, Black Phantom, and Splitface would have more than the other sets. Lego was considering a motorcycle theme after the success of the Furno Bike, so this might be it. That would explain why some heroes are more than others. I agree with Mata Nui. People are going to start looking for new brands eventually because everyone will get bored of the same heroes over and over again. By the way, great name you've got yourself there! Could we please have some pictures. It's not that I don't trust the people who started this discussion, it's just that it would be useful. Maybe there's a new hero. Can't wait to find out! @HarryBillyBobGeorge Thatwould be interesting... Could be pretty cool. Oh, and JANG, Front on Eurobricks, who is a Hero Factory part designer, said that next year there all be better parts for making titans! One of these is most likely a larger type of chest plate, like the ones on the Hulk and Iron Man 'Super Heroes' constraction sets. I love the idea! but, chuck norris would be too awesome to be a HF set cuz anyone who even THINKS about get the set would get blown up, and we dont want half of the population of the world suddenly gone would we? I agree with Mata Nui as well, it would be good for them to change the hero team of focus, instead of just adding new heroes each wave, IMO. But instead of that they're just modifying the heroes' designs. At least they're keeping it relatively fresh; many people said thathey did not want, for example, a water theme as it would be too similar to Mahri, but we never saw a toxic Bionicle theme. •Chuck Norris? Really? It isn't even funny... Just scary. •Anyone asking for pictures, they have not been leaked yet, only the names. •Everyone who wants Evo, Nex, Stormer, or Bulk, sorry, as much as I wasn't those guys in 4.0, it's doubtful. Here's what I have to say about their names. Jawblade: I think hes the skilled one. Toxic Reapa: Rip off to Meltdown. They should have all the Bionicle themes (Desert, Water, Air, Ground) for Hero factory, or maybe a space theme! so pirates and underwater are out out of the question whats the theme? space, toxic, miners? I saw them on the product page before LEGO removed them. I'm exited! Oh, I bet Thornraxx has spiky gold armor. If they make another TV episode, who knows how many Bionicle references and jokes will be made. JANG- I don't know if you know this yet but the preliminary pictures of Ninjago and Dino 2012 are out, and pictures for the Super Heroes constraction figures are too. I can't figure out how to put a link or picture in to the comment, but the images can be found on Eurobricks. @HarryBillyBobGeorge. Actually I can totally picture a motorcycle, or any vehicle, theme; what with the heroes' prices and all. The villains could he a mutant biker gang; the names all fit (except for Thornraxx -_-). I can definitely picture Black Phantom as a 2.0-sized villain with a huge chopper-style bike. HEY GUYS IM LEGOSTRATOS from youtube!!! 4.0 pictures are here!!! HERE JANG! Aaand pictures have been released. I sent you a message; if anyone wants to see them, they're on youtube and eurobricks. JANG! Pictures have been found! Lego removed them though so I can't give a link. But I can still report findings to you! I'll do it in two comments, one for the heroes and one for the villains, because there is so much to say. •Theme is "BREAKOUT: Catch 'em and cuff 'em". This appears to have a variety of villain styles, but all seem to be toxic like we expected. •There is no sixth hero. I guess they dropped the amount to five, partially due to the price increase on each individual hero. My guess is that we will see a similar theme next wave, featuring Bulk, Stringer, Stormer, Nex, and a new hero, all built in this same style. •The heroes are 2.0 build with 1.0 heads. This means we'll get 1.0-style helmets for Rocka and Evo! Also we potentially get trans-purple and clear Agori heads! •Each hero has two colors. Evo has mostly yellow and gunmetal, Surge has blue and lime, Breez has lime and red, Rocka has gold and lime (? ), and Furno has red and silver. •All heroes have white cores. •Each hero has an upgraded Meteor Blaster; one half of the weapon is the piece used in all previous waves, and the other half is a new piece. •It appears that a totally dark-bley skeleton will be possible. •To go with the theme, all heroes wield Hero Cuffs to catch the baddies. •Furno has a few trans-red armor pieces (!) and flame designs on his chest. He has jet turbines on his back (flying!). Aside from his Meteor Blaster, Furno has no weapons. •Surge returns with electric-styled designs on his chest. He is armed with a trans-blue recolor of his 1.0 weapon. •Breez has a series of red dots on her chest armor. She has a dual-bladed sword and a small shield on her arm. Breez has small system-built jets on her ankles (again, flying!). An interesting thing is that she has 1.0 feet! •Evo has got a heavily-armored look to him. On his chest is a symbol of some kind but I cannot tell what it's supposed to be. Like Furno, he has no weapons except for the Meteor Blaster. Evo's helmet looks like a 1.0-styled adaption of his 2.0 headgear. •Rocka appears to have a jetpack (do I need to say flying?) and is armed with a crossbow/dual-bladed sword thing, which his Meteor Blaster is built into. He has a small shield on one arm. His helmet looks fairly simple yet has a good aesthetic, looking like a 1.0 version of his 2.0 helmet (like the custom one that JANG made). Overall the heroes look great! I will go over the villains in my next comment. But the pictures have been taken off by Lego, so you can't access the pages Stratos mentioned, and the link on Eurobricks goes to those pages. Anyway, now for the villains! •As I said before the villains are toxic-themed. They have tubes running from their backs to their weapons (except for Jawblade), and appear to be mutants of some kind or other. •Jawblade's head and color scheme (silver, trans-orange, and a bit of red) is like that of Fangz. His weapons are trans-red recolors of Furno's 1.0 weapons. Jawblade is a shark (I think?) but has a pair of normal arms. He has a fish-like tail and fins. •Splitface is the second-largest villain. The left half of his body has black armor and the right side has red. The head, which looks similar to Thunder's, is split down the middle between red and black. Splitface's weapons are a regular Meteor Blaster on his left arm, and a strange device of some sort on his right arm. He has a few lime-colored spikes on his left (black) side. He appears to be the same size as the heroes, which leads me to believe that there was a mistake or two with the price listings on the German toy website. •Thornraxx is an insect-like villain, with two arms, wings, no legs, and a stinger. His color scheme is orange and highlights of (what appears to be) dark azure (the ADU color). His wings are the ones from Gorast. Thornraxx's head has a regular orange Meteor Blaster built into it. •Toxic Reapa looks almost froglike. His color scheme consists of lime and trans-lime, a surprisingly good combination. He is short and squat. This, and the configuration of #3 armor plates that make up his chest, lead me to believe that he incorporates a smaller shorter skeleton piece. Toxic Reapa's helmet is fairly simple but looks great- he has small sharp teeth, and goggle-like things on the cheeks (this is a bad description, but trust me, he looks pretty cool). His weapons are just #3 armor pieces with trans-lime flames coming out of them. •Black Phantom does not quite meet my expectations. He actually just looks like a skinnier version of Fire Lord. He is the same size too. He is black with red highlights, and a his shoulder and chest armor, as well as his weapon and helmet, are 'sparkle' black. He apparently has four arms; either that, or two long portusions on his shoulders, with spikes connected to them. In his right hand he holds a mace-like staff, and in his left hand he holds a white recolor of Thornraxx's head with four of the claws (used on Rocka 3.0 and Stringer 3.0) in white attached to it. There is a Meteor Blaster built into this weapon. My guess is that the white thing comes off of Black Phantom's hand and becomes it's own creature. I honestly expected more, but it's still preliminary, so hopefully he'll get *cough WD size cough* better. The villains in this wave are pretty good. However, I am a bit disappointed with Black Phantom. More thoughts coming later! there will be some slight changes(or might be)because I mailed lego telling them about the leaked photos and a lot more!!!!! I like Breez. She has the kind of blade that sentinel prime had.